Never scream at your dog when he has an accident. If your dog has an “accident” in the house, it means that you made a mistake. You either didn’t notice the signs that your dog had to go, you didn’t walk them enough times or you left him along for too long of a time – with no opportunity to relieve himself outside (or on a potty pad if you are doing indoor training) Consider this: if you were locked you in a house without a bathroom, and you suddenly had to go, what would happen? You’d probably try to hold it as long as possible — just like your dog. You’d only have your “accident” when you could no longer control your body. And you’d feel bad about it — just like your dog. Okay, so now for the product recommendations. Here are a few of our suggestions to help make the whole process a lot easier. 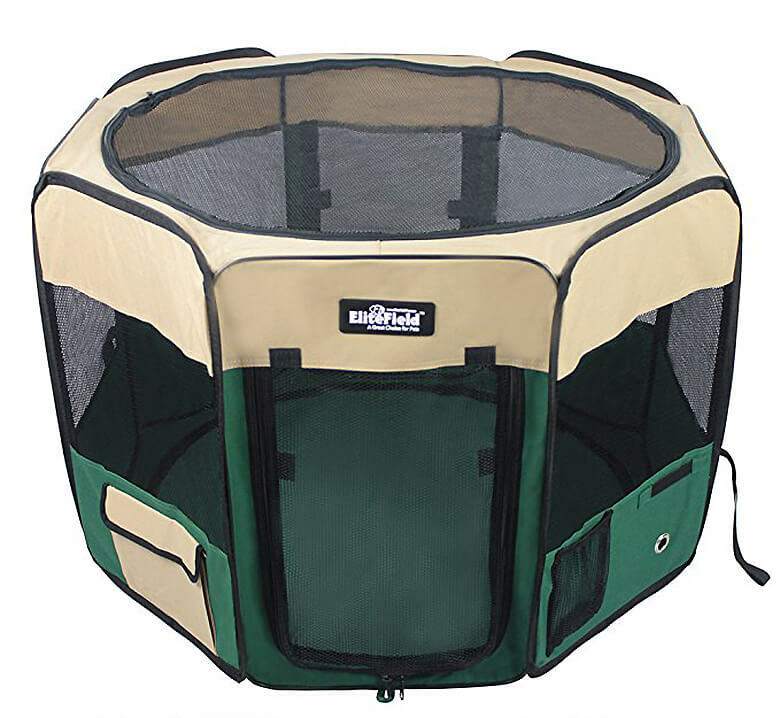 Use a playpen or exercise pen to confine your puppy or older, newly adopted dog. Cover the floor of the pen with puppy pads except for a small area to put a dog bed and a food and water bowl. 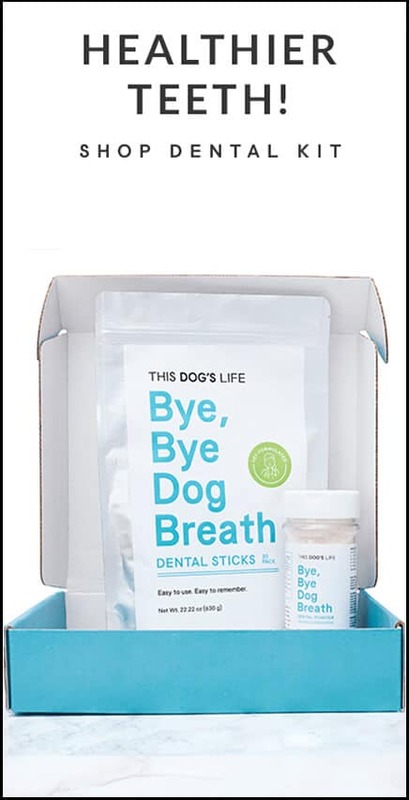 Praise your dog exuberantly when he or she goes on the pad, and take away one pad a day. 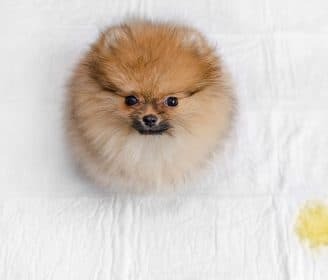 If your dog then goes on the bare floor, put one puppy pad back. Do this until only one pad remains, and your puppy is only going on that pad. In choosing a pen, consider the size of the dog, how high the dog can jump, and where you want to place it. 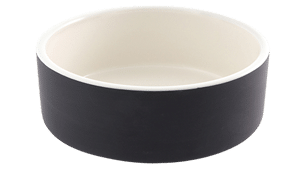 The EliteField is a soft-sided pen, which is great for a new puppy because you can move it around and place it next to your bed or in your bedroom to make those first few scary weeks easier for the little guy. 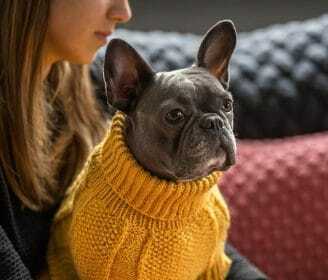 What makes this a great option is the top mesh cover (that prevents the dog from jumping out), the easy setup, the pockets for gear, and the washable floor mat. Available in circumferences ranging from 30 inches to 62 inches, and heights from 20 to 36 inches. The Iris Exercise Plastic Pen has interlocking panels, a hinged door for easy in and out, plus a small doggie door so you don’t have to open the larger panel. The 8-panel version gives you 21 square feet of space inside, and it has an option to add two panels to make it larger. It’s made of durable plastic and comes with rubber feet to protect your floors. Available in eight colors. 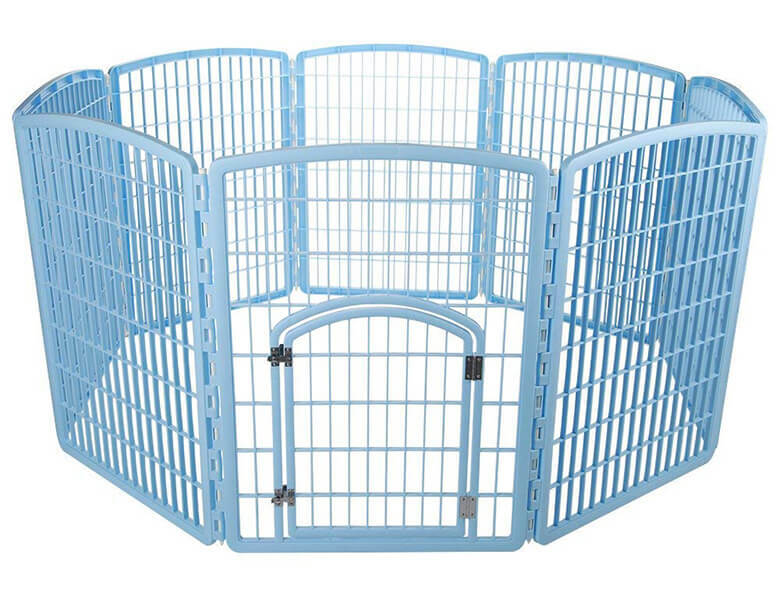 The range of Midwest Exercise Pens are customizable in terms of shape and placement. The metal panels can be put together in any configuration to fit your space and your needs (I bought extra panels and put together a large pen around my desk so I could work at home and my dog wouldn’t feel isolated). It comes with ground anchors for outdoor use, has a double latch door, and you don’t need any tools to put it together. Available in heights from 24 to 48 inches. As mentioned, we suggest crate training to be used in very short interval of times, otherwise, it can be stressful on your dog. Choose the right crate by considering a few factors: Is your dog an aggressive chewer? Does your dog do better in an enclosed den or does she like to be able to see you? This will help you choose a sturdy, wire crate or a more enclosed (but more chewable) plastic crate. The size is also important. 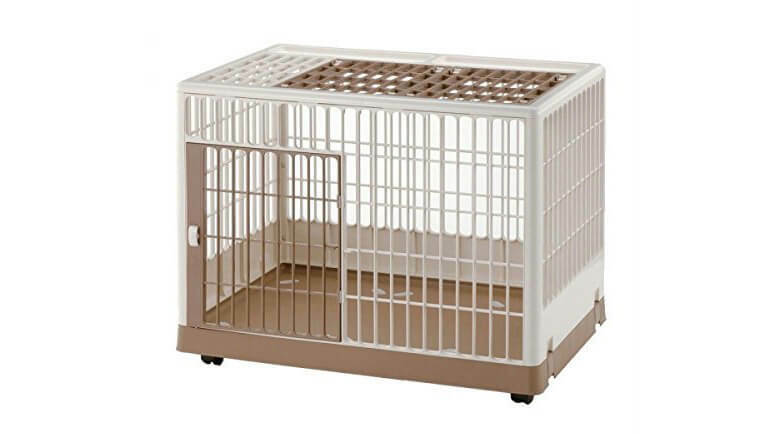 The crate should be big enough to allow your dog to stand, lay down comfortably and change position, but not big enough to give her room to comfortably take a bathroom break in it; dogs will generally not pee or poop next to their sleeping area. 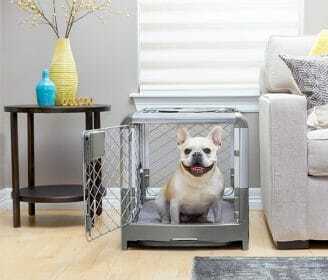 Add a crate bed and a crate cover, and your dog will come to love her crate sooner. 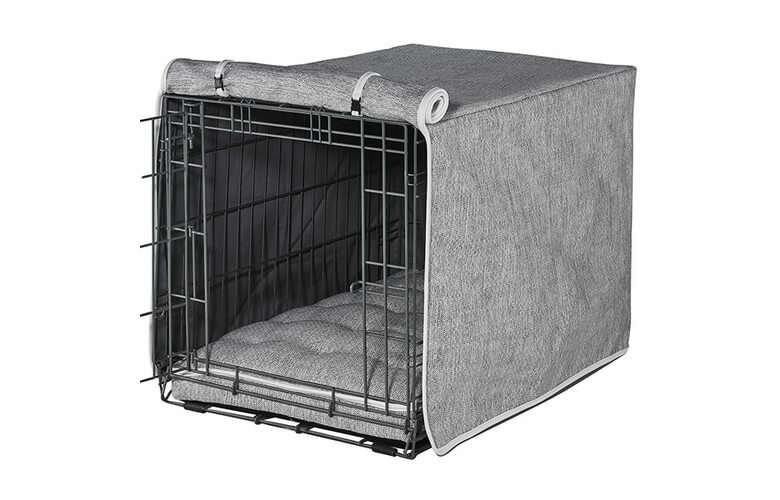 Don’t forget the crate pad, and if your dog likes privacy, invest in a crate cover. The Richell Pet Training Kennel is made with potty training in mind. It opens (and locks) with double doors on top and on the side. The base is detachable for easy cleanup, and the casters, which lock in place, allow you to move it to another room. Slots on the base let you to push in the corners of a potty pad to make accidents easy to clean. Two storage trays on top hold small supplies. The MidWest Ultima Pro gets high marks for being extremely hard to break out of, so it’s great for the Houdini in your home. Made of heavy wire gauge and tightly spacing, it comes with a leakproof pan, rubber feet to protect your floors and a carrying handle. It folds flat for traveling or storage and is easy to assemble. Available in 24-inches to 48-inches. 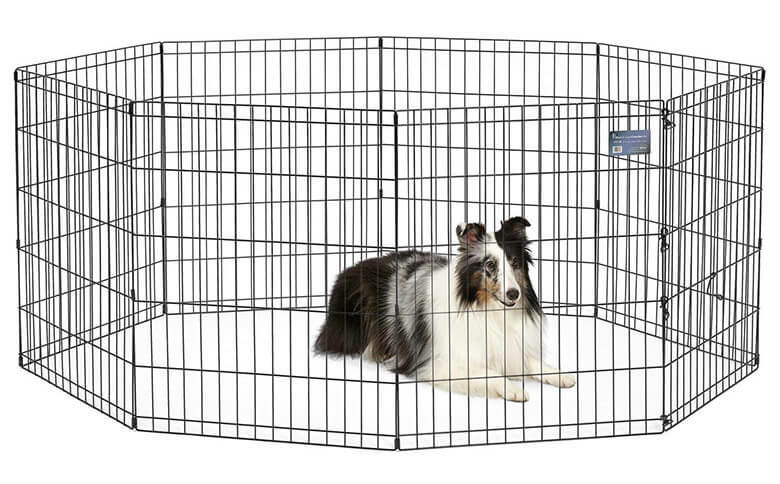 To make your dog’s crate a luxury retreat, get a HuggleHounds. Made of thick, cuddly “HuggleFleece synthetic lamb’s wool” on chew-resistant corduroy mat, your dog will love to spend time snoozing in his comfy den. Best of all, this crate pad is machine washable. Be sure to measure the bottom area of the crate. Available in XS to XXL. 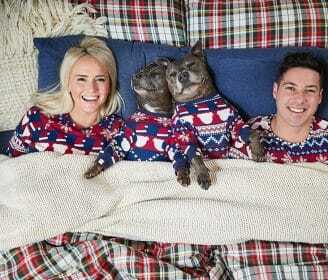 For the discerning human…and their dog, Felix Chien Cratewear is top of the line for your inner designer. Made in an assortment of quality fabrics, the covers roll up over front doors, side doors, or both. 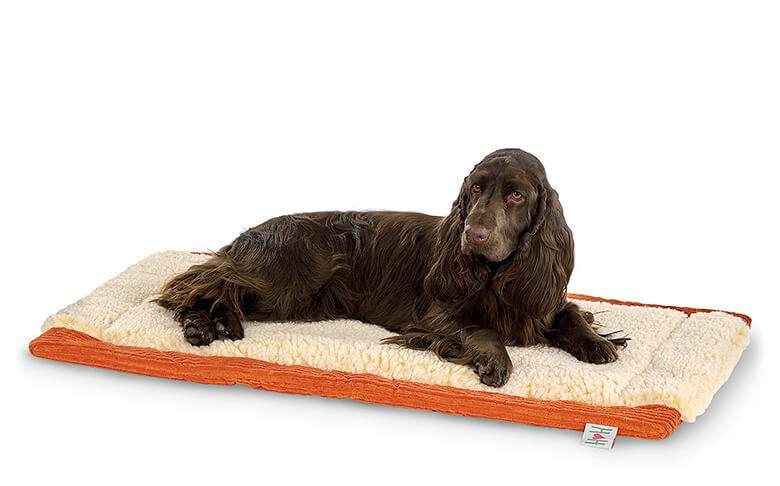 Each one has an matching crate pad, and they even offer a wire crate that fits perfectly. 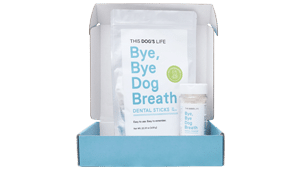 For those looking to train their dog to take bathroom breaks in their home for short- or long-term use, these supplies will help you out. The Classic Piddle Pads are basically the best puppy pads on the market. They are super thick and absorbent, so they stay dryer on top for longer than any other pads. The backing is waterproof (as opposed to others where moisture seeps through), and it even manages to control odors. 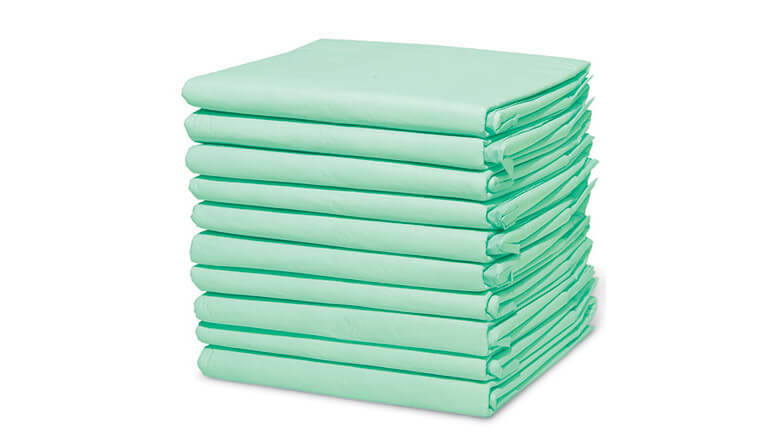 Available in Regular size (24″ x 23″) and Super Large (35″ x 30″), they come in batches of 40 to 120 pads. Constructed of four super absorbent layers, the washable pads from Rocket and Rex have a waterproof backing. 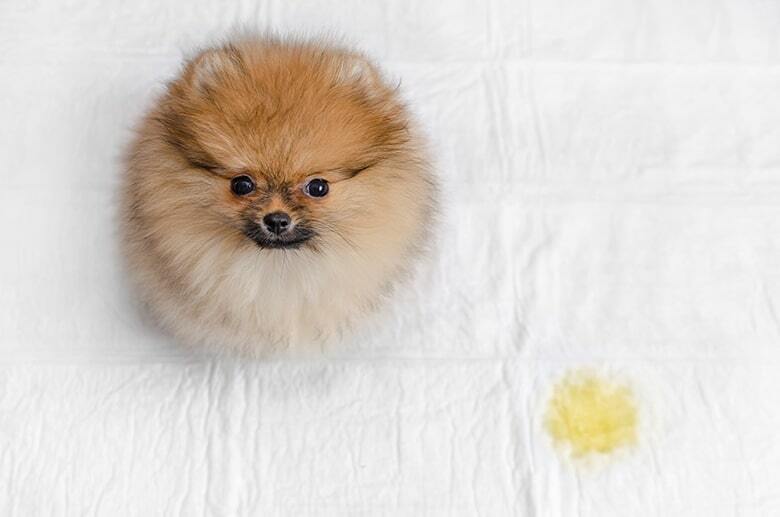 The pads absorb urine and stops your dog from tracking pee all over the house. 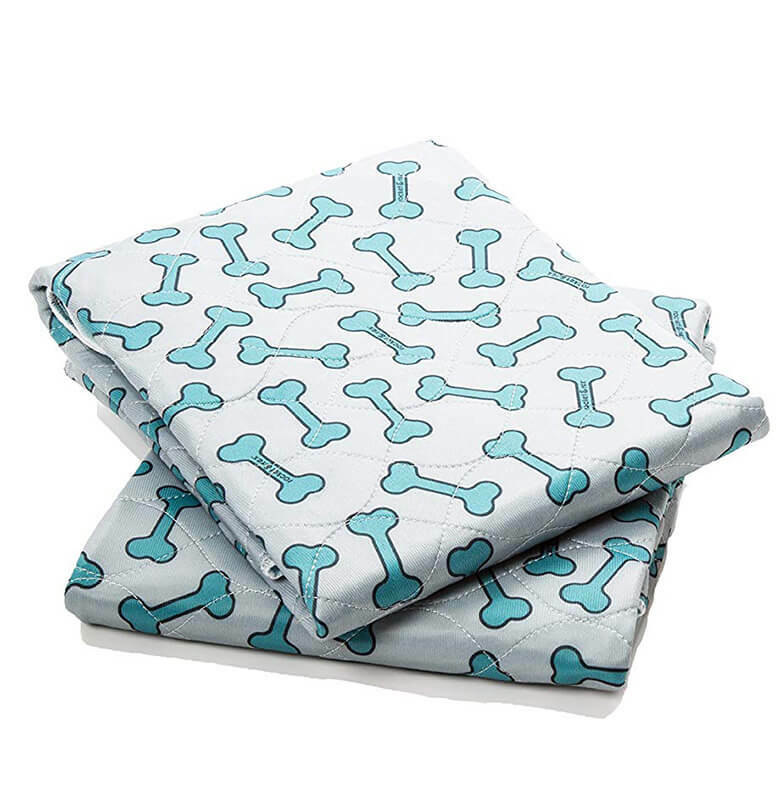 If you use puppy pads all the time for a small breed dog, and you don’t have a place to tuck them out of sight, these are a good option. Just pop them in the washing machine for up to 300 washings. 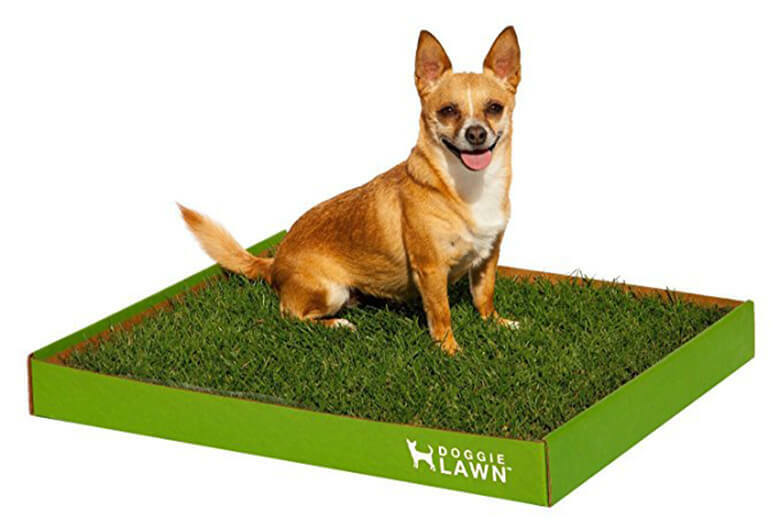 For that special snowflake that will only go on grass, the Doggy Lawn is the answer to your problems. 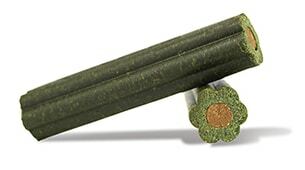 This is a customizable subscription product made of real grass. They use “specially formulated, hydroponically grown grass” that doesn’t use soil, so it won’t get all over your floor. When it’s time, just throw it in the compost (or the trash). 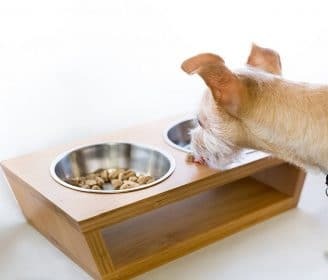 You can add on a DoggieLawn tray and an Odor Neutralizer. Pick the size you want and the delivery frequency. Available for one- to four-week delivery plans. The Pet Loo is a system that uses artificial grass over a base that allows the urine to pass through into a waste container “pee pod” below. A powder turns the liquid into a gel, which traps odors. You can throw away the pod every few days. 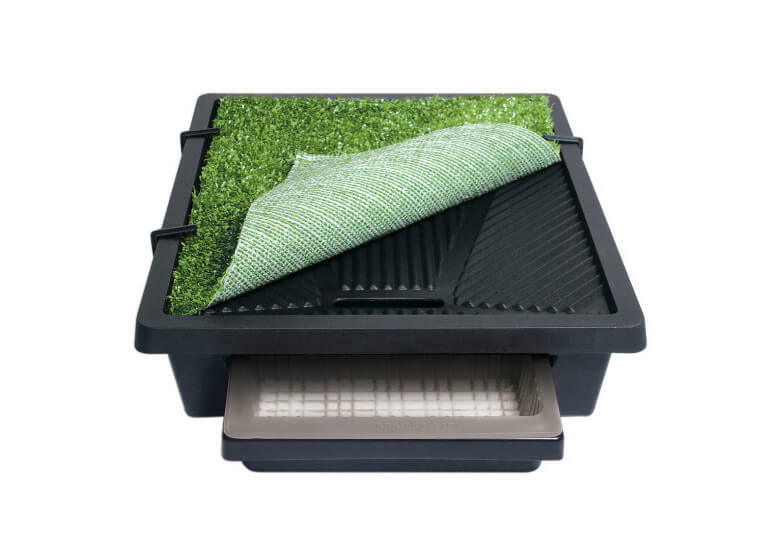 The grass mat can be cleaned with water. Pop in a new pod, and you’re ready to go. The powder and 7 pods are $19.99. The Pet Loo is available in three sizes. If your dog has an accident, it’s imperative that you remove the smell so your dog doesn’t think it’s an appropriate place. Enzymatic sprays and cleaners will remove the smell and stain from hard floors and carpet. Skout’s Honor urine remover breaks down pee stains, destroying and eliminating even the smelliest urine. Works on most surfaces, including carpet, upholstery and porous or water-safe surfaces. The cleaner is eco-friendly, non-toxic and cruelty-free. Plus, every purchase provides three meals to a shelter animal. Many air fresheners can be toxic to pets. This includes spray air fresheners, scented candles, upholstery sprays, plug-ins, gels, candles and incense. But homes with pets need air fresheners more than pet-free homes. Lucky for us, there are some pet-safe air fresheners now on the market. 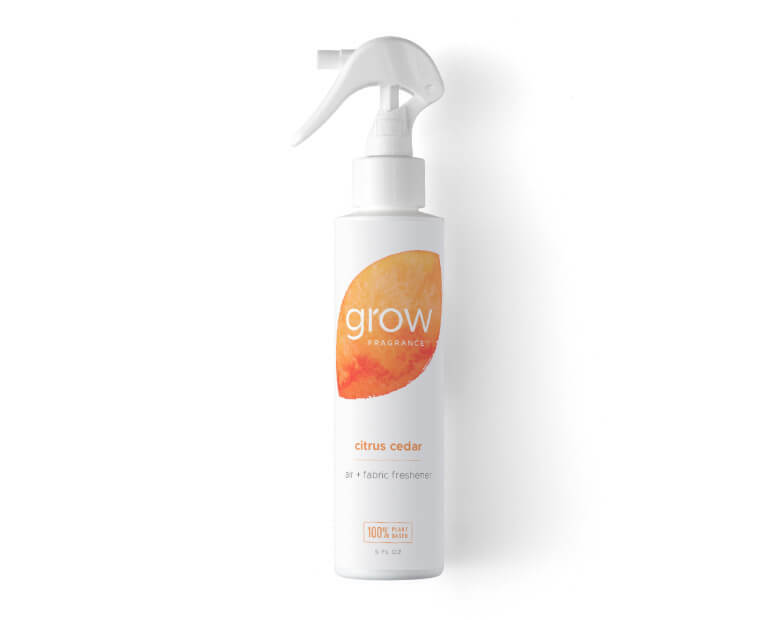 The Grow Fragrance line of air and fabric fresheners is 100% plant based and toxin-free (most air fresheners are petroleum-based). They ship in beautiful packaging and smell divine. Available in five long-lasting scents. 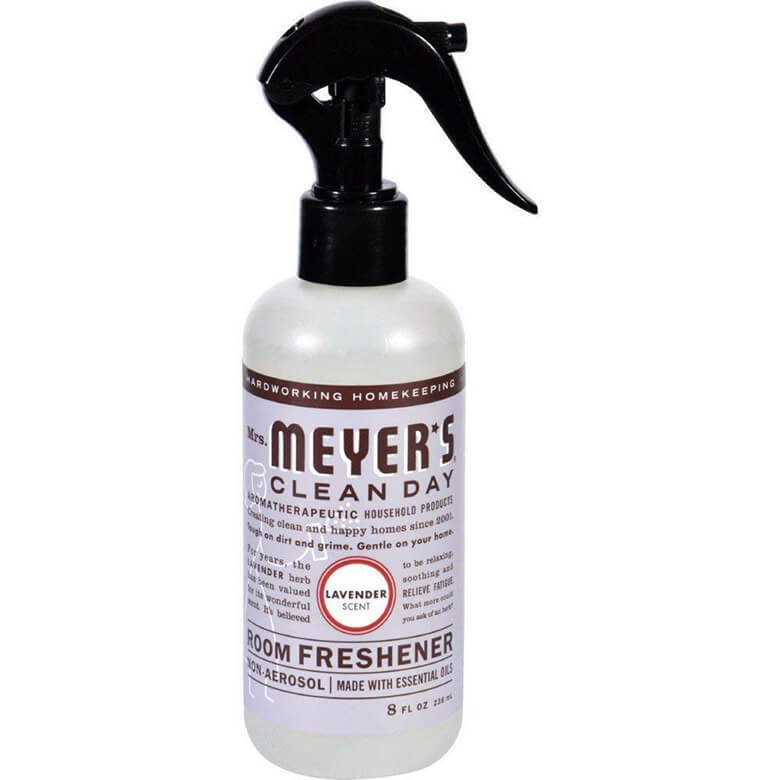 Been around for years, Mrs Meyer has a scent for everyone. 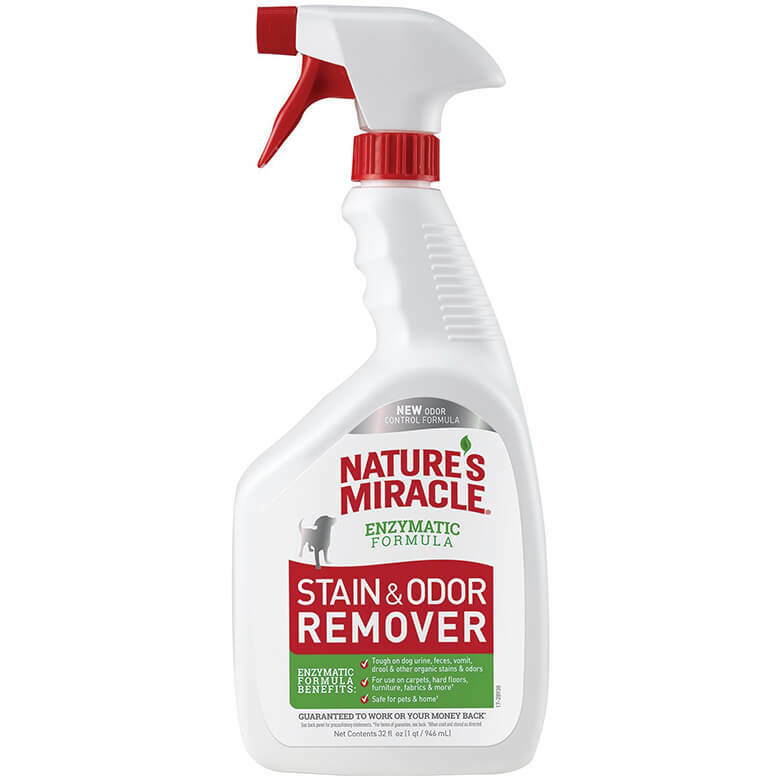 The sprays are 94 percent natural with plant-derived ingredients and essential oils to make your room smell so good — and hide those puppy smells. 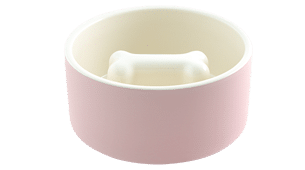 When training your pup, it is so important to reward her when she does a good job. 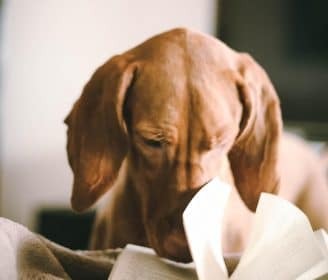 Nothing makes your dog more excited and more motivated to do a good job then some yummy treats. 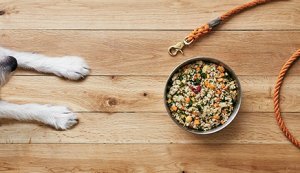 Here are some great training treats — smaller biscuits, so your dog can enjoy the reward without adding extra pounds. 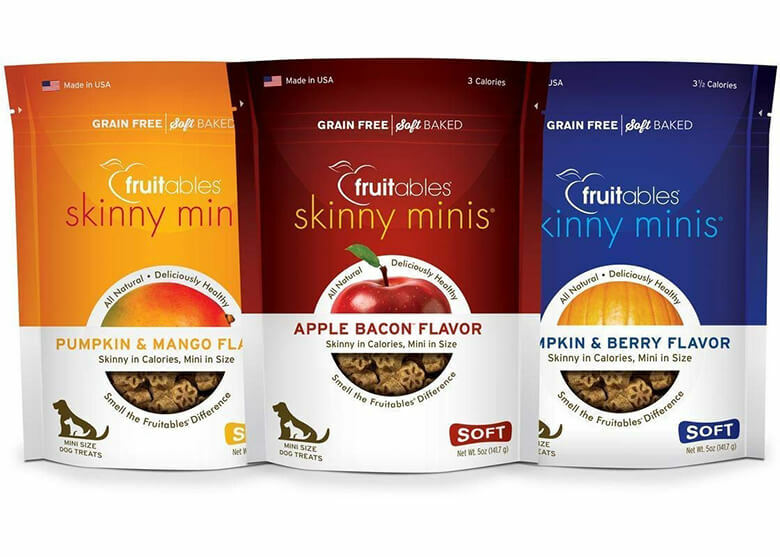 Fruitables are low-calorie yummy snacks for your pup. Focusing on wholesome ingredients, the company ensures the first one on the list is a fruit or veggies. 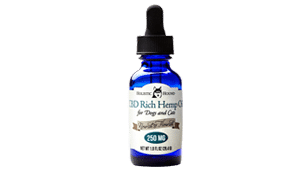 The company not only provides a variety of flavors — including pumpkin, apple and watermelon — but also textures, like crunchy, chewy and jerky to suit any dog’s needs. 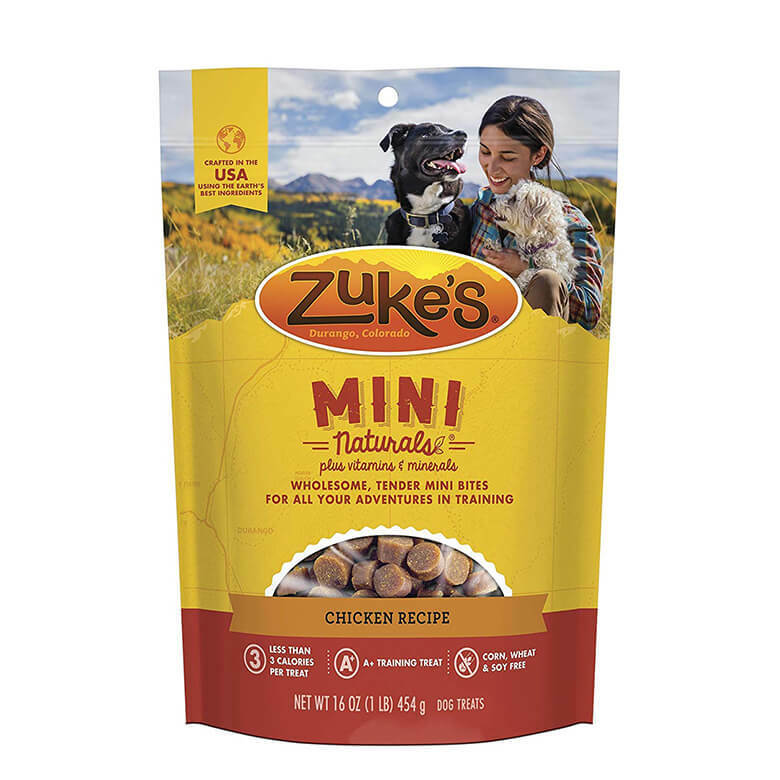 Free of corny, soy and wheat, these treats from Zuke’s are not only hardy but also yummy. Chicken is the first ingredient on the list, with cherries and turmeric also included in these trainable treats.